Britain's most loved M & S café open its new branch Dubai. 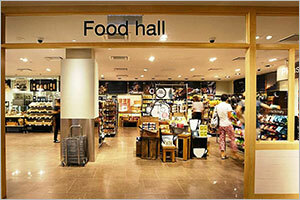 The opening of the new M& S café and stand alone food store had all the British food fans jump in excitement in Dubai. This is the second for the Mark & Spencer team, located in the Springs Souq between The Meadows and the Springs. The Stand alone store offers ready-made meals British foods, bakery items, and chilled and frozen foods. While most Brits have M & S favorites, the available varieties include vegetables, salads, and oven ready meals, totaling to about 1700 food lines at your finger tip. They also have products for special occasions like antipasti, luxury cheese boards and desserts. The cafe offers smoothies, soups, pasta, and serves the famous fish and chips along with afternoon tea. The first of its line was inaugurated in September 2017, at the Marina walk in Jumeirah. Ever since its inception, the café has become a hit amongst the local and residents of UAE. Apart from the stand alone, there are food stores inside the Dubai Festival Centre, Mall of the Emirates, Yas Mall and Airport Road branches of Marks & Spencers in Dubai. This new opening came around after the announcement made in May by the British retailer that it will be closing over 100 stores in its Home market by 2022.